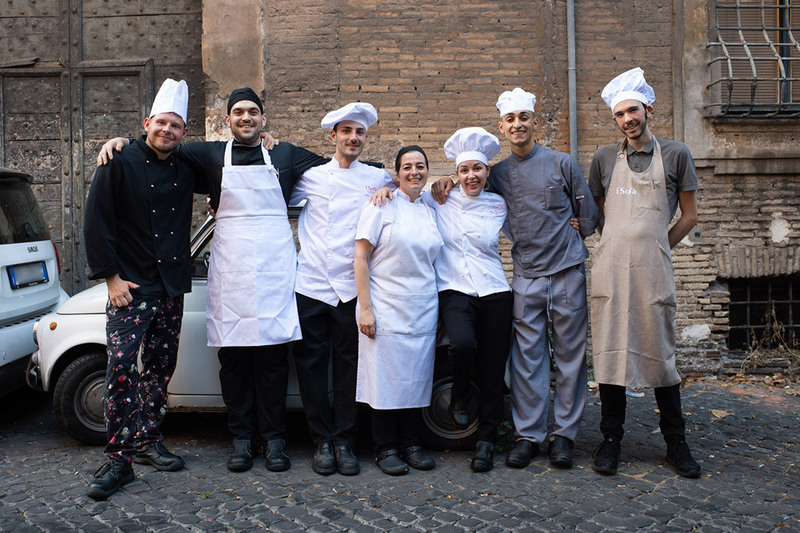 Our staff at I Sofa Bar Restaurant & Roof Terrace, led by Chef Filly Mossucca, will lead you to discover the great classics of Roman cuisine between tradition and innovation. Charismatic dishes with a touch of pink sensitivity. A collision of ideas, techniques and cultures that evoke deep emotions. An ambition born when she was a child in the family restaurant, nurtured with humility and dedication that today is expressed in a creative combination between her solid Lucan roots and her curiosity for the prestigious international cuisine. A passion for risotto and thyme, for the balance and the attention she puts in every dish.